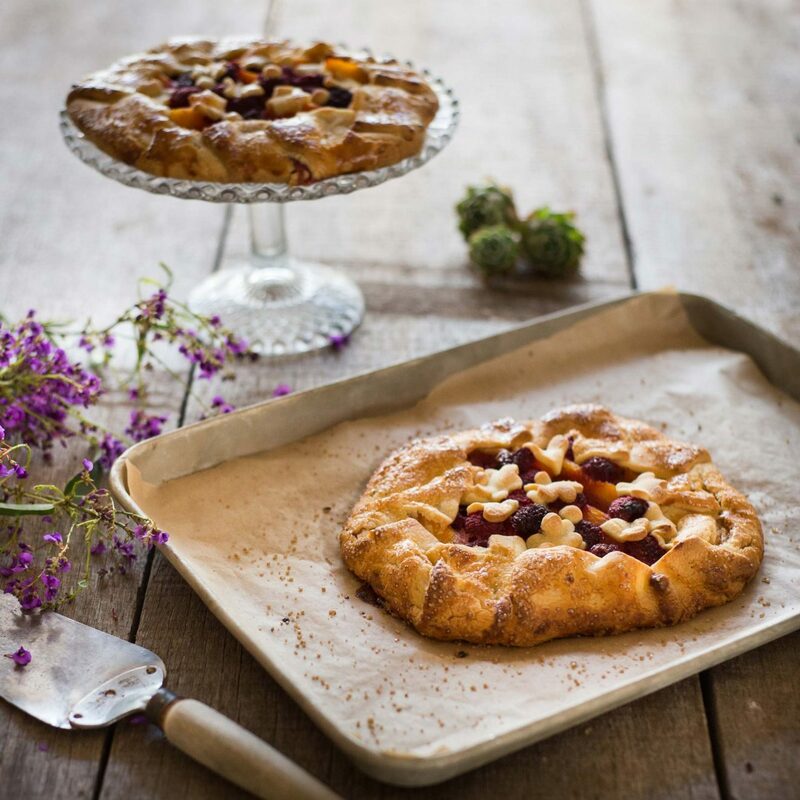 Make the most of summer fruits with this simple free form tart. NOTE: *If you want to add some decorations to the tarts slice a 3cm strip from the short end of the pastry sheet prior to cutting in half. From the strip cut stars, flowers or whatever shapes you like. Roll leftover pastry trim into small balls for further decoration. Place cream cheese, sugar, vanilla bean, zest and yolk together in a small food processor, beating until mixture is smooth and well combined. Place pastry sheet on bench and lightly dust with flour, cut sheet in half to give you two squares*. Place each square on a tray lined with baking paper. Spread half the cream cheese filling over one sheet of pastry, leaving a 3cm border, repeat with the other sheet. Now evenly divide the peaches and raspberries between the two sheets. 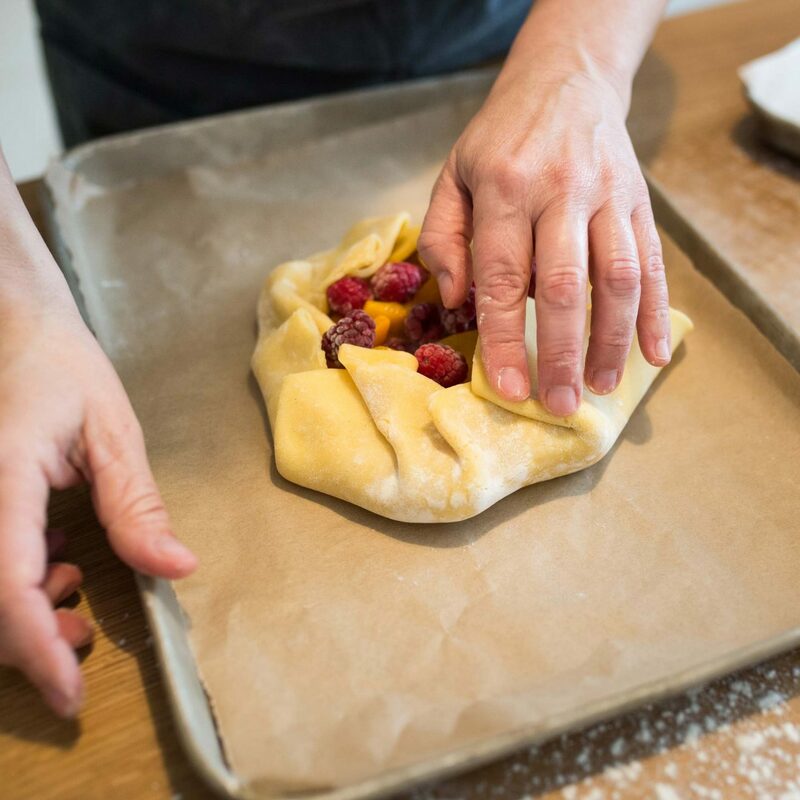 To assemble, roughly fold the edges of the pastry up and partially over the fruit to create a border. Top the exposed fruit randomly with pastry decorations if using. 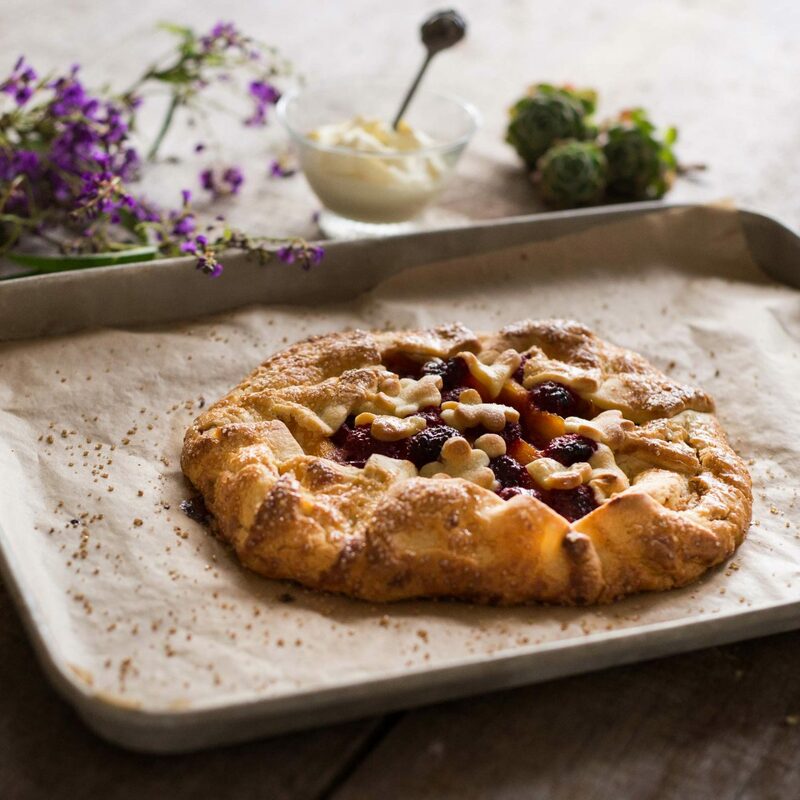 Brush the pastry with egg glaze and sprinkle with the demerara sugar. Bake in preheated oven for 30 minutes or until pastry is golden. Remove from oven and allow to cool before serving. Serve with thick Jersey Cream.